Nearly four decades ago, Stephen B. Ballard laid the foundation for a career in construction on familiar ground: in his own house. Working from home, Stephen and his sister Brenda began S.B. Ballard Construction Company by completing small projects for the Norfolk Redevelopment and Housing Authority and minor renovations for their neighbors. Stephen was then in his early 20s, but the Norfolk native (and Maury High graduate) already had a vision for a firm that would make its mark in Hampton Roads and beyond. In those formative years, the emphasis was on concrete contracting but also in meeting the client’s every need. 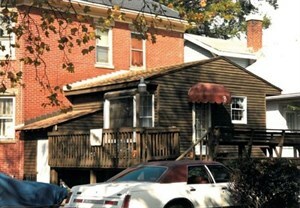 The owner or general contractor knew Stephen’s word and handshake were his bond. The skill of Stephen’s team and their attention to detail created the trust that turns small companies into large ones. Before long S.B. Ballard was one of the largest concrete contractors in the nation, and that success led Stephen to expand into general construction. You can see the S.B. Ballard banner displayed on project sites throughout the Mid-Atlantic and Southeast, including Ocean Towers Condominium in Palm Coast, Florida, an expansion to the Baltimore Aquarium and the Sitter and Barfoot Veterans Care Center in Richmond. Back in Hampton Roads, where it all began, S.B. Ballard’s accomplishments include some of the region’s most important structures like the Half Moone Cruise and Celebration Center, St. Mary’s Home for Disabled Children, Kellam High School, Virginia Beach Seawall/Boardwalk, Lyman B. Brooks Library at Norfolk State University and the Ted Constant Convocation Center and S.B. Ballard Football Stadium at Old Dominion University. 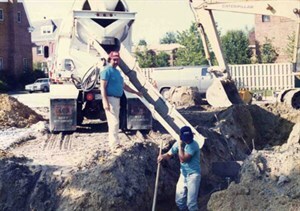 Stephen B. Ballard and his team of more than 100 professionals approach every opportunity with the highest commitment to quality and a reputation as solid as the toughest slab of concrete. The evidence is in the work they have completed and respect they have generated.